Support the different programmes running under WBUT in management and allied disciplines in terms of updating their course structure and syllabi, and also improve and upgrade the evaluation and examination process. To fulfill these objectives, the School of Management started the M. Phil and Ph. D programmes in Management, is actively involved in executive and faculty development programmes, and regularly organizes seminars and workshops. 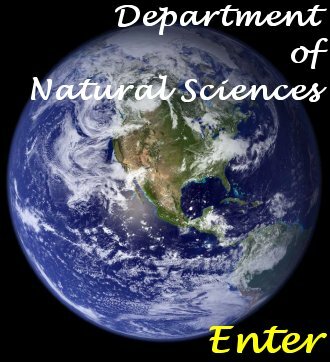 The Department of Natural Science is also currently housed under SOMS and is headed by the Director, School of Management. The School of Management is located on the second floor of the University. The School houses the office of the Director and that of the other faculty members. Each faculty member is provided with separate study space, locker, computer (with internet facilities) and personal phone. The School shares common class rooms with other departments of the University. The class rooms are equipped with teaching aids like LCD, OHP and white boards. Most of the classrooms have air conditioned facility. The School used the computing facilities of the IBM lab located in the ground floor of the university as well as other computing facilities spread across the university. The School has access to software like Matlab, Statistica etc. which are frequently used for computational purposes. The School uses the library resources of the university which has a rich and varied collection of books and journals, including a large repository of e-journals. The library boasts of Ebsco Premiere as well as e-journals and books from Springer, which all faculty members can access from their offices. Supervisory activities which try to support undergraduate and post-graduate programmes in the affiliated colleges of the University. M. Phil and Ph. D in Management - WBUT has given approval to several institutes in the state to offer a postgraduate degree programme in management. In most of these institutes there is dearth of quality management faculty in terms of both numbers and desired qualification. There is, therefore, an urgent need to initiate a programme to develop and train management faculty members. SOM is addressing this need by offering an M. Phil and Ph.D programme in Management. Armed with such a degree, students will be encouraged to take up academics as a career option. Executive Development Programmes - School of Management in collaboration with South-Asian Management Technologies have started offering various certification programmes leading to Postgraduate Professional Diploma in various specialisations from June 2006. A number of programmes have been held in various locations including India, Malaysia, Bangladesh, and Nepal. The courses have been very well accepted by the industry. Such programmes have also been offered in collaboration with the Department of Information Technology, Government of Sikkim. Courses have been offered in the areas of Credit Risk Management, Information System Audit, Cyber Security and Cyber Forensics, Business Continuity and Disaster Recovery Planning etc. Indian Bankers Association, the apex body of the Indian Banks, have confirmed that the courses in the respective areas are useful to supply the current skill requirement in the banking industry. Entrepreneurship Development Program on Biotechnology” sponsored by DCSSI (Development Commissioner Small Scale Industries) & DBT (Dept. of Biotechnology), Govt of India on 5-9, March, 2007 jointly conducted by School of Management (WBUT), BCIL (Biotechnology Consortium of India Limited) and Ekta Incubation Centre (WBUT). E-Procurement in Educational Institutions-Some Observations”, National Workshop on procurement/materials management/supply chain, sponsored by Ministry of Micro, small & medium industries, Govt. of India at North East Indira Gandhi Regional Institute for Medical Sciences, Shillong, Feb, 2008. Seminar on Operational Risk Management in collaboration with South Asian Management Technologies in Kolkata in August 2008. One day Faculty Development Programme on SPSS in collaboration with SPSS South Asia at the University campus on July 12, 2009. Workshop on application of Financial Risk Management techniques in May 2009 at the University campus; the speaker being from the Department of Economics, Jadavpur University. A number of regular seminars for the students of the M. Phil Management programme during their second semester, thereby giving them exposure to current research. The School received UGC major project grant (for three years) for research on “Functional Instability or Paradigm shift – study of Indian finance market”. Prof. Amitava Sarkar, Director, School of Management, is the Principal Investigator in this project. The project is attempting to study volatility and stochastic properties of Indian financial markets. Mid-term review of the project has been carried out by UGC and found to be satisfactory. The School is planning to study contagion in financial markets in the framework of complex systems approach and is in the process of submitting a project regarding the same. The faculty members of the school along with their collaborators have published about nine papers in national and international peer-reviewed journals. The faculty members of the School have delivered lectures at Jadavpur University (on the global financial crisis), at University of Calcutta (on financial reforms), at Kalyani University (on the long term memory in financial markets) and also chaired sessions in seminar organized by PRMIA at Jadavpur University. There was a collaborative agreement in September 2006 between SOM, WBUT and School of Management, Southern Illinois University on faculty and student exchange. 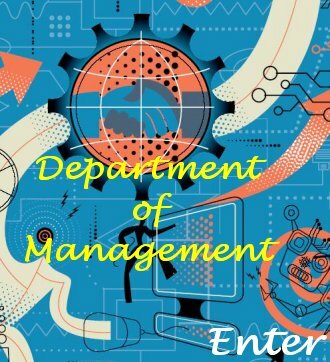 (Joint Entrance Management Aptitude Test) is conducted by WBUT for candidates aspiring to gain entry into MBA programmes in WBUT affiliated colleges as well as some other universities/institutes in West Bengal. SOM-WBUT conducts the entire admission process for JEMAT including the written test (including the on-line test), Group Discussion and Personal Interview (GD/PI) and Counseling sessions. JEMAT has already been conducted twice in 2009. The first phase was conducted during February-March, while JEMAT 2009 (Phase II) was held in July. SOM is in the process of initiating a two-year postgraduate programme in Computational Finance. The Computational Finance laboratory is being developed for this purpose by procuring both hardware and appropriate software using the UGC grant. This will be a highly focused programme having a judicious admixture of quantitative techniques, financial knowledge and computational skills and will aim to fill the gap in quality manpower currently existing in the financial services industry. AICTE programmes - WBUT has the AICTE approved MBA programme running in more than 30 of its affiliated institutions. The School of Management is responsible for supervising the smooth conduct of this programme. Board of Studies (BOS) meetings in Management are held at regular intervals to review the course structure and syllabus. The aim of syllabus revision is to ensure that the MBA programme reflects the latest advances in Management education and their contents are in tune with the current requirements of the industry. Syllabus revision involves formation of apex committees who prepare a draft syllabus in each area followed by workshops attended by faculty members of the affiliated institutions where the proposed draft syllabi are reviewed, discussed and finalized. SOM is also responsible for finalizing the list of moderators and Head Examiners in consultation with the BOS members. Director, SOM is part of the selection panel when the affiliated institutions recruit faculty members to teach in the MBA programme. Non-AICTE programmes - There are two postgraduate non-AICTE courses viz. MMA and MHA which are under the supervision of SOM-WBUT. In addition, a number of undergraduate level professional courses running in the affiliated colleges of WBUT are supervised by the School of Management. Among these latter courses are BBA(H), BHM, BIRM, BMS, BNS, B.Opt, BSCM, BSM, BTTM etc. SOM-WBUT regularly conducts BOS meetings for these courses, finalizes and updates the syllabus periodically and is involved with the evaluation process of the students. Director, SOM assists these colleges to identify and select faculty members for the different courses. The School of Management is currently in the process of updating the syllabus of several of these undergraduate programmes.